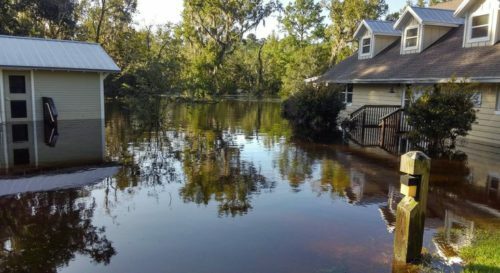 Hurricane Irma devastated Girl Scouts of Gateway Council’s camp properties North Fork Leadership Center and Camp Kateri. The extent of the damage varies from severe flooding in camp buildings, damaged equipment, downed trees, and structural damage rendering a majority of these properties unusable. The girls and volunteers of Girl Scouts of Gateway Council depend on these properties to provide quality time outdoors for educational programs, troop activities, and trainings. Many local Girl Scouts have already taken the lead as among the first to respond, taking action to help with recovery efforts throughout our region from cleanup projects to helping to feed those without power. But now the organization needs help! With your generosity, Girl Scouts of Gateway Council can begin rebuilding these safe places where girls become go-getters, innovator, risk-taker, and leaders. Your contribution will support the nearly 10,000 girls and 4,000 volunteers that rely on these properties to deliver the Girl Scout experience. To donate or for more information, click here.